Polish liquor supplier Exclusive Brands Distribution (EBD) has signed a distribution agreement with Haleybrooke International (HI) for its kosher vodka brands in North, Central and South America and the Caribbean. As per the agreement, the company will distribute brands including Kosher Vodka and Hava Nagila Kosher Vodka, reports dfnionline.com. 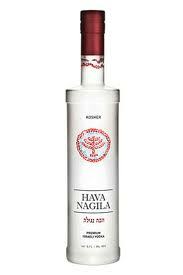 “Hava Nagila is the first ever Israeli kosher vodka in the super-premium category. I am confident that both brands will be an interesting proposition for duty-free customers in Americas,” Wydro added. According to the company, Hava Nagila is a premium vodka, which originates from Israel and both the products are produced using traditional recipe, with 100% grain spirit and pure spring water. Earlier the spirits supplier has announced the availability of its kosher vodkas in Poland’s Polish domestic and duty free markets.